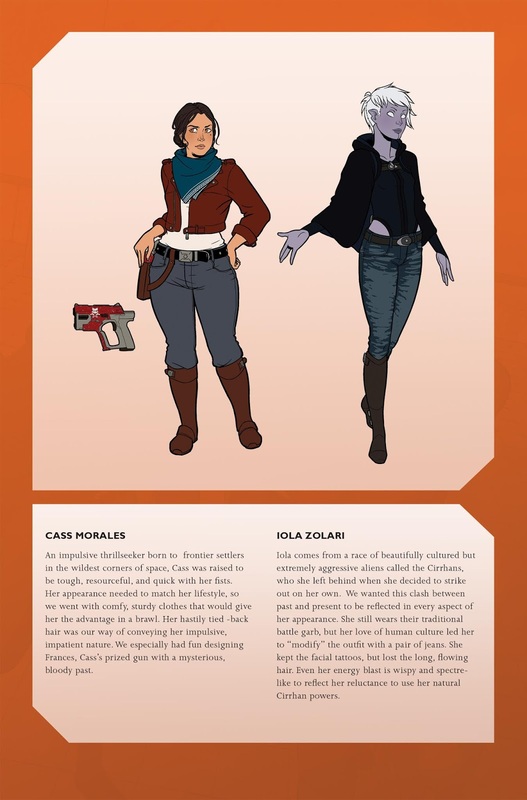 Meet your new favorite bounty hunters! When a pair of rookie bounty hunters accept a dangerous job in the wildest corner of space, they stumble into a fight they weren’t prepared for—and draw the ire of the baddest criminals in the galaxy. 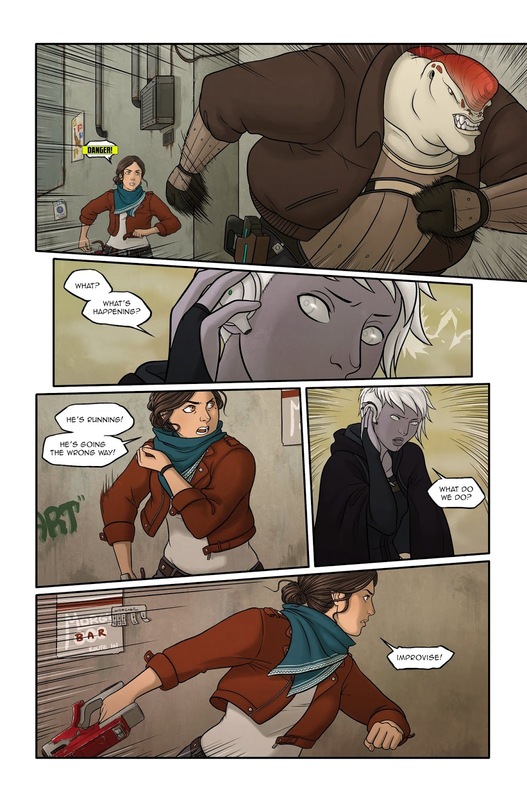 GUNCATS has beautiful, stylish art, a women-centered story, diverse creators and space puppies! 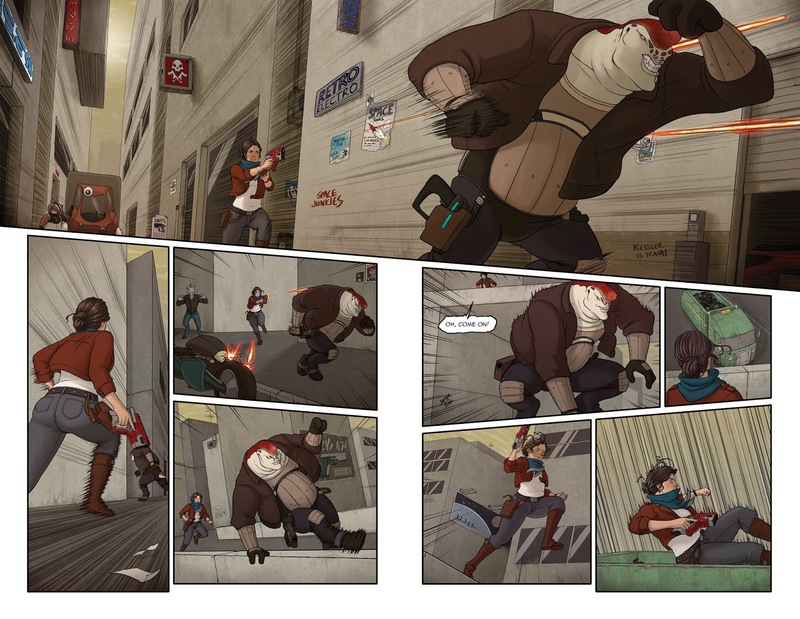 It's a mix of classic pulp sci-fi and old western storytelling with a modern twist. 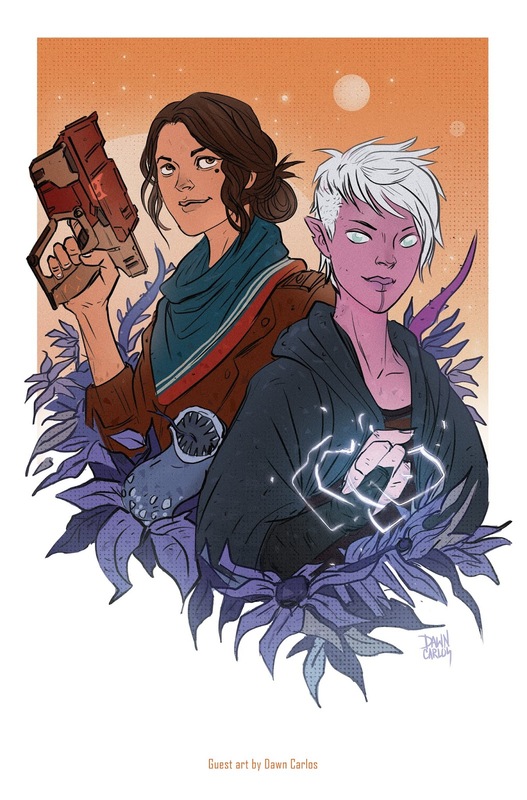 Creator/writer Samantha Wallschlaeger (the video game writer for Guild Wars 2, Mass Effect: Andromeda, and Star Wars: The Old Republic), comments that "What we want most for our readers is to simply have fun. GUNCATS is silly and adventurous and stylish, and we just want you to dig in and enjoy the ride. And if you can do so while listening to Sleigh Bells’ entire discography, even better." 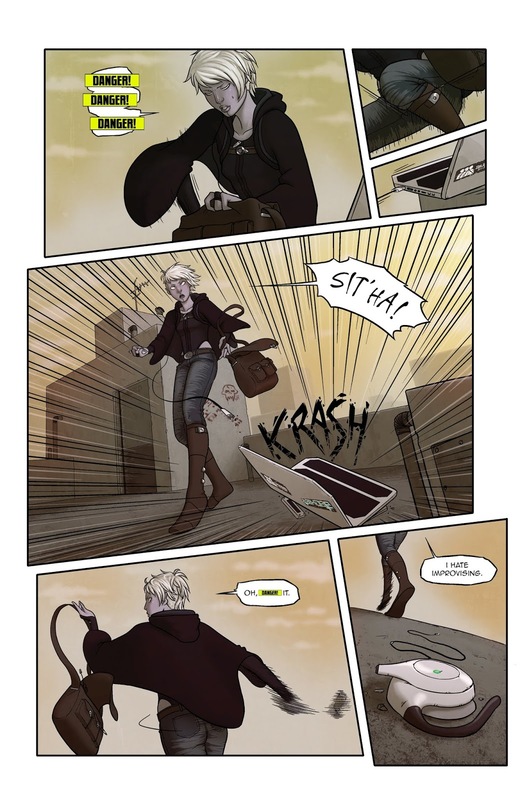 She continues by saying: "When Joge and I began working on GUNCATS nearly four years ago, we set out to make the kind of comic we desperately wanted to read. I was longing, at the time, for more books centered around the magical phenomenon that is female friendship. Cass and Iola travel to hell and back together—many times as a result of their own flaws—and they always come out on the other side even closer than before. 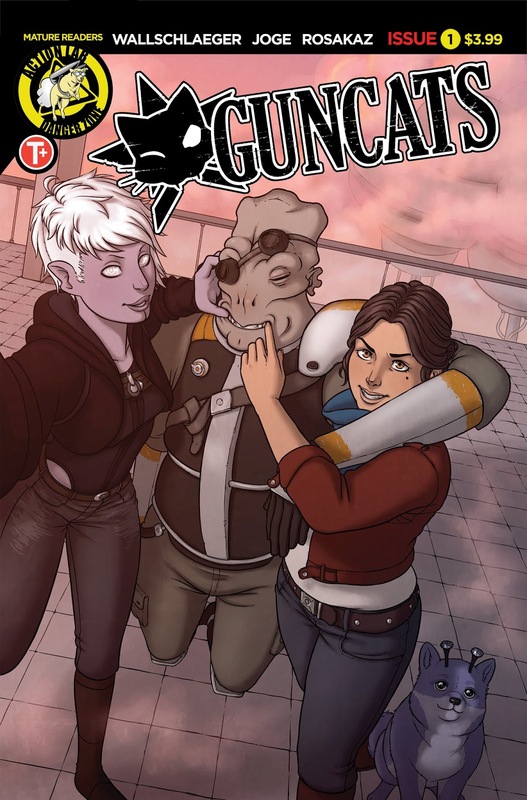 Through all the gunfights and aliens and wall-to-wall action, GUNCATS is, at its core, a story about how a pair of BFFs have the tenacity to take on the world (or in this case, the galaxy)." The first issue of GUNCATS #1 will be available in a comic book shop near you on August 29, 2018. Pre-order the book with the Diamond item code JUN181315.